Géza Röhrig, Levente Molnár, Urs Rechn et al. Saul Auslander is a member of the Sonderkommando, the Jewish prisoners forced to assist in the machinery of the Nazi concentration camps. While at work, he discovers the body of a boy he recognises as his son. 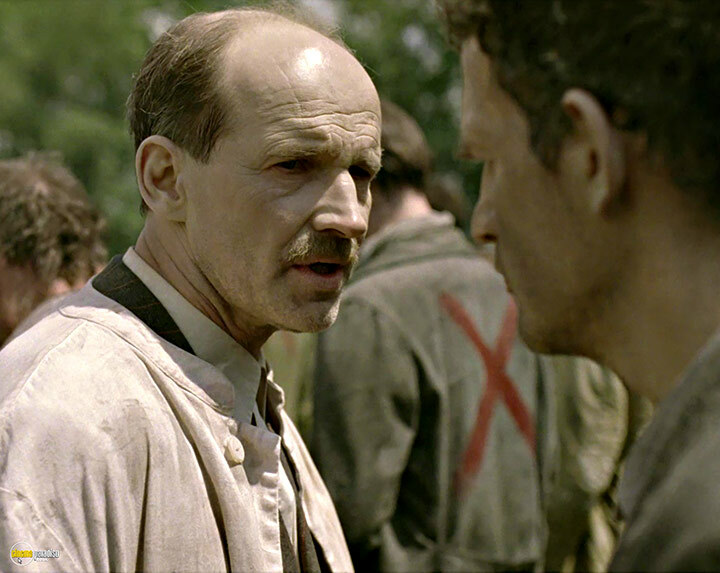 As the Sonderkommando plan a rebellion, Saul vows to carry out an impossible task: to save the child's body from the flames and to find a rabbi to offer the boy a proper burial. This really is a depressing movie. From Hungary. But there is so little dialogue in the whole film, it is almost mimed and coulod be in any language. It's filmed in hand-held camera style - like Blair Witch Project or other movies which aim to create Cinama Verite and that LIVE feel which puts the audience in the midst of the action - or, as here, the horror. What really makes this movies, though, is the way it shows the workaday reality of life at a concentration camp - it's all scrubbing, cleaning, sorting, obeying orders, as at an abattoir. That is quite unlike glossy Holocaust Hollywood movies. This is all the more horrible for its minimalism. There is also interesting ambiguity: is the body the man's son, or merely a symbol of innocence? 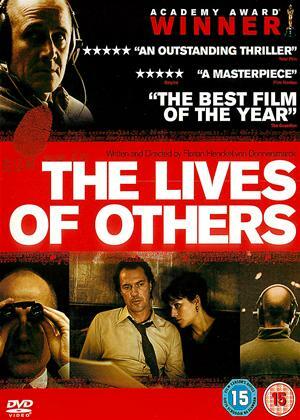 It's all relentlessly gloomy and sad, but a must-see movie and possibly the best Hungarian film I have ever seen. 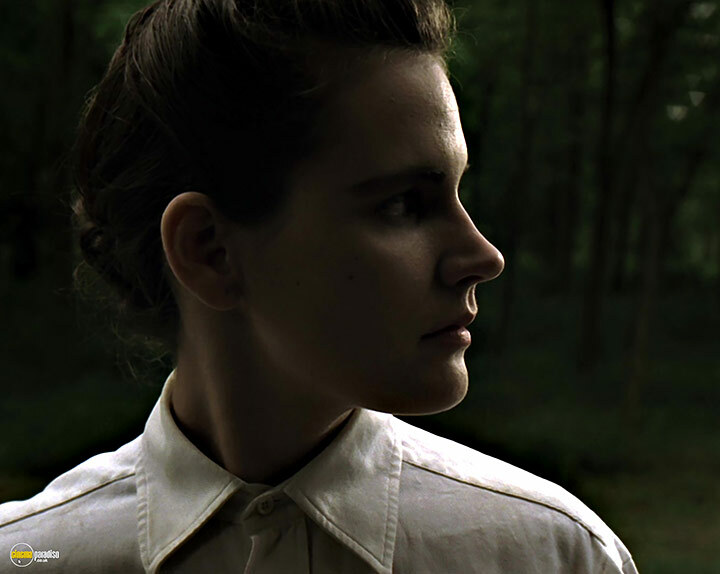 This is a film about the horrors of the concentration camp and a hard-to-understand quest of one of its workers; it's bleak, cleverly shot and truly horrifying. Some scenes are more like a slasher film such as Hostel than the kind of war film usually made. The big problem with it is that there is absolutely nothing to engage the viewer, the basic premise of the main character's drive throughout the film just seems crazy (even allowing for the insanity of the place he's in and the madness of the Nazis). It's unremittingly depressing, nothing to cheer you in the way of, say, La vita è bella, absolutely nothing to lift the spirit anywhere in the film at all. All that is left at the end of the film is a feeling of utter futility; coupled with the lack of coherent story and the confusing shallow depth of field it's a deeply unsatisfactory watch. 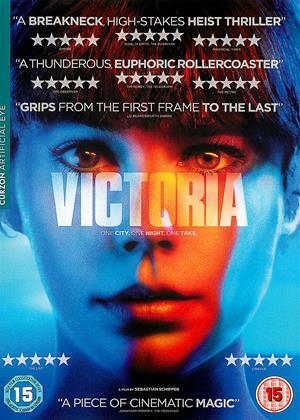 I really could not recommend this as a film to watch and I struggle to understand why this has won so many plaudits. This is a bleak film and yet it left me more numb than anything else. The first half hour or so many scenes and small moments certainly leave an impact and horrify but after a while you almost start to feel like one of the workers here; oblivious and almost uncaring to the relentless murder and slaughter. Maybe that was intentional on the director's part. I was glad I watched it but also glad once it was over. A film that critics love almost more because they think they ought to rather than it is truly deserving of such acclaim. The Holocaust was awful, evil, a horrible stain on all of humanity. It is possible to make a great film about it though as proven by the classic 'Schindler's List'. This isn't one of those films though. No feature film, I suppose, can come close to communicating fully the horrors of the death camps. When all is said and done, what the audience is seeing is confined to a screen. They are most likely sat down in a comfortable chair, warm and well-fed. When the film is over they can get up and make a cup of tea. Of course that is not to say films of this kind are a waste of time. There are plenty of people out there who would like nothing better than to see films, books, etc, depicting the Holocaust to cease being produced. Paradoxically then, works of this sort, despite their severe limitations, must never stop. There must never be an end to remembering. The deniers must never win. 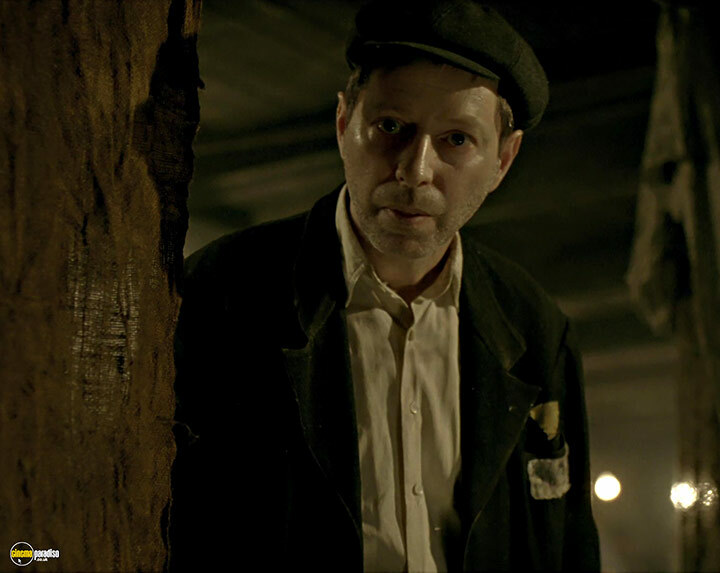 'Son Of Saul' endeavours to take the viewer's understanding of the daily hell of Auschwitz to a new level by following Saul Auslander, a sonderkommando, as he is forced to work at the mass extinction and disposal of the 'pieces', as they are called by the guards. The hand-held camera rarely strays more than an arms-length away from Saul's head, front, back or side, giving the impression we are there, close by. There may even be an attempt by the director to make us think we are Saul, the camera is that intimate (the concentration on the eyes, dead to what is happening around him, the barbarities being perpetrated are out of focus, as if he's numbed himself not to see them anymore). We are never more than a couple of feet away every time Saul is grabbed, pulled, pushed, hauled, punched, pummelled. If the film had carried on in this manner, giving us, for instance, twenty-four hours in the existence of Saul Auslander, we may have got closer than ever before to life and death in the camps. Or, as can happen, the savagery may have become so relentless that instead of feeling sympathy and sadness, a sensation of weariness creeps in. We will never know - for something very odd is thrown on the fire. A boy has survived the gas chamber, and although quickly disposed of by a camp doctor, the incident has been enough to shock Saul from his out of focus mental state, and see clearly what he cannot bear to see. The boy becomes somebody, rather than a 'piece'. More than that, Saul sees him as a lost son, a 'piece' of himself. In fact the piece of himself that Saul sees is his own soul (Saul? ), lost in the fires, and now he has one final chance at redemption. 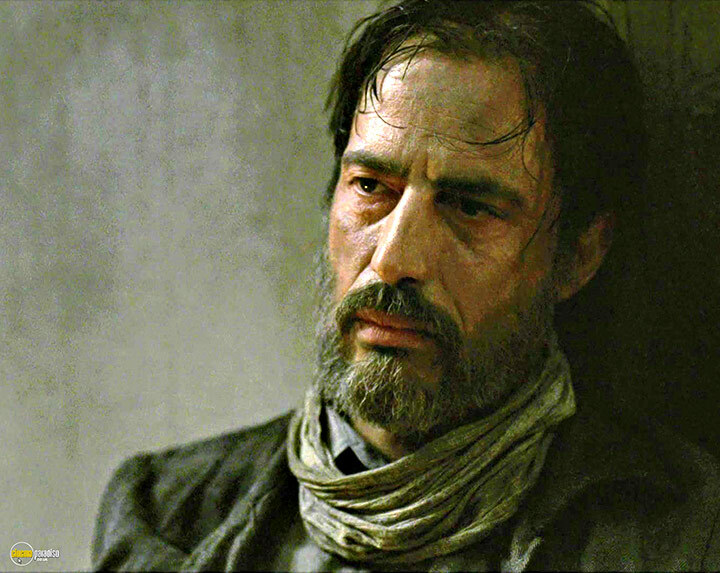 The film follows Saul in his frantic, scrambling search for a rabbi to perform the kaddish for his 'son', before it is lost once again, this time with no chance of release from eternal perdition. The huge problem is that the incident of the boy's survival does not seem that shocking - nowhere near enough for Saul to be jolted free from his automaton existence. And as the film then concentrates on his desperate need for a rabbi, the horrors around him become secondary. Despite brave camerawork; despite Geza Rohrig's performance, unforgettable in its emotionless intensity; in the end this film cannot be considered a success. The flaws are too damaging. Following someone who has had his humanity ripped out of him around for the entire running time is just overload. Instead of having empathy for Saul, because of his constant nearness; the round-the-clock lack of breathing space had the opposite effect on this viewer. 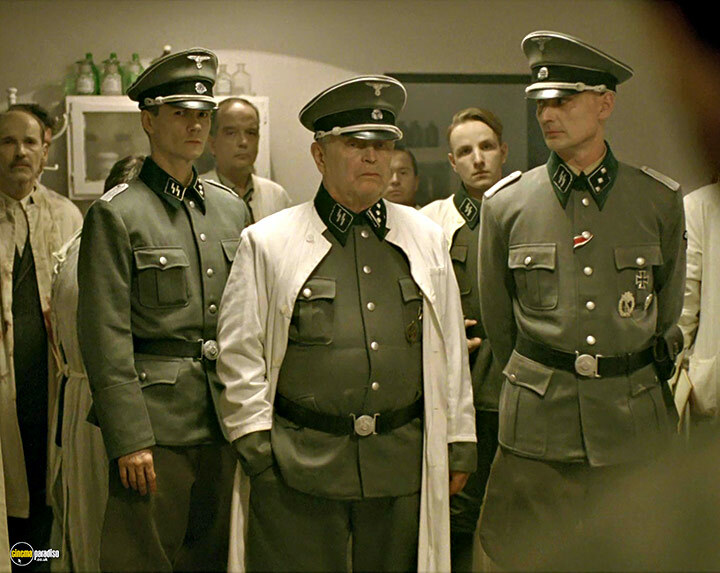 Another film about the Holocaust, another one which fails to hit the target. But another one which had to be made. The deniers must never win. 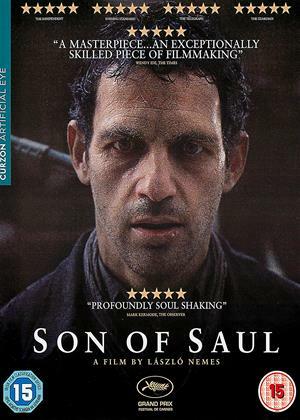 A strange film about Saul, a worker, at a death camp, where we are not told who believes he has found the body of an illegitimate son and he wants to bury him. The film evolves around his duties at the camp and his desire to find a Rabbi who can give the child a funeral! OK for the first 20 minutes, but then it becomes an obsession of following him around the camp trying to find a Rabbi who could bury the boy. From this point on the film loses it way and becomes boring to the point that I felt my sub conscious trying to take me in other directions! For me personally a wasted rental. 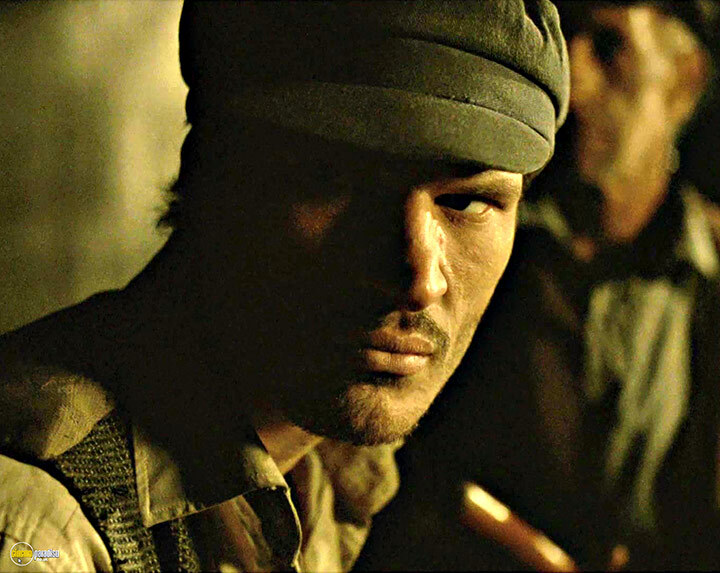 This is an astonishing film; based on the day-to-day horror of the slaughter of a concentration camp, the main character, Saul, finds some release in concealing the body of a young victim of torture and attempting to achieve a religious burial in the face of unremitting hatred, both from guards and also, fellow prisoners. It is a story of unending desperation, filmed in intimate close-up with excellent camera work, which captures the hopelessness of the prisoners in their labours of hell. It is not an easy film to watch but the lasting impression is one of rare cinematic achievement. Recently sitting thru over a gruelling ten hours of the 1985 tv documentary Shoah (holocaust), must have dulled my senses. 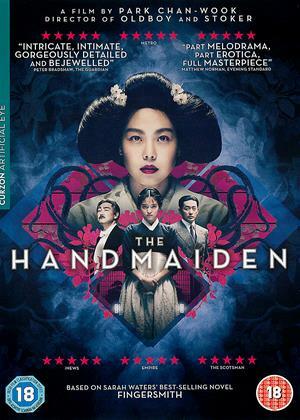 Whilst this film depicts the mechanics of the atrocious mass slaughter of the Jews, I did not find myself unable to watch it (as I thought I might, having read several reviews). Whilst it was very well crafted, it was ultimately a very sad piece of cinema with an ending left to ones own interpretation. This is what’s known as a tour de force. That is not a good thing. Our man Saul is a prisoner in a Word War 2 concentration camp. The camera follows him around in close-up, documentary-style. Everything else is out of focus or out of shot. Often all we see is the back of his head. Perhaps the intent is to make the horror all the more poignant by only catching blurred glimpses of it. Instead, the technique merely becomes wearing. A whole film in handheld close-up with no score? No thanks. Eventually, when the camera operator runs, the image inevitably degenerates into wobble-cam. The content is of course important, as in ‘this film must be seen’ etc. It was an ‘official selection’ for Cannes, which is always a bad sign. It’s director Laszlo Nemes’ first feature. He intended it to be visceral, but it’s the opposite. It commits the cardinal sin of making the viewer bored with the cinematic image. On the DVD Extras there’s one of his earlier short films. It uses the same technique. He needs to change his style. It's good to find films that break the mold: Boyhood, Russian Ark, Satantango, for instance. And by their very groundbreaking nature, many are astonishing in parts, but arguably unsuccessful in others. Son of Saul falls into this category for me. The unusual way that it is filmed (in narrow screen, but great detail and very shallow focus, following Saul during his disturbingly banal everyday tasks) is hard to adjust to at first, but then quite compelling. The way that the story is filmed in such ostensibly "normal" surroundings (concrete bunkers, yes - but also daylit woodland with birds singing and calmly flowing rivers) yet with the ferocity of the actual activities of the concentration camp as an unfocused background is very clever and quite convincing. 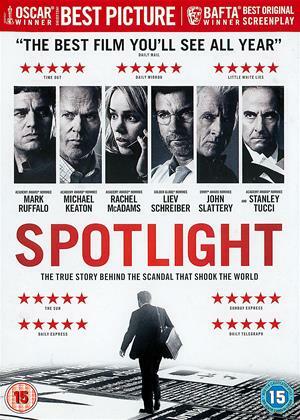 However, Saul's motivations for his actions (the central theme of the film) are hazy to say the least - and whilst having everything explained and conveniently put on a plate Hollywood-style is not an attractive habit in film making, having such intense and profound actions as Saul's so nebulous, unexplained and unconvincing does seem to be inappropriate: the film would have been much better if the viewer could detect at least some kind of motivation in the intensity of his efforts, even if it was just an attempt to impose some shred of artificial meaning on a world completely bereft of humanity. 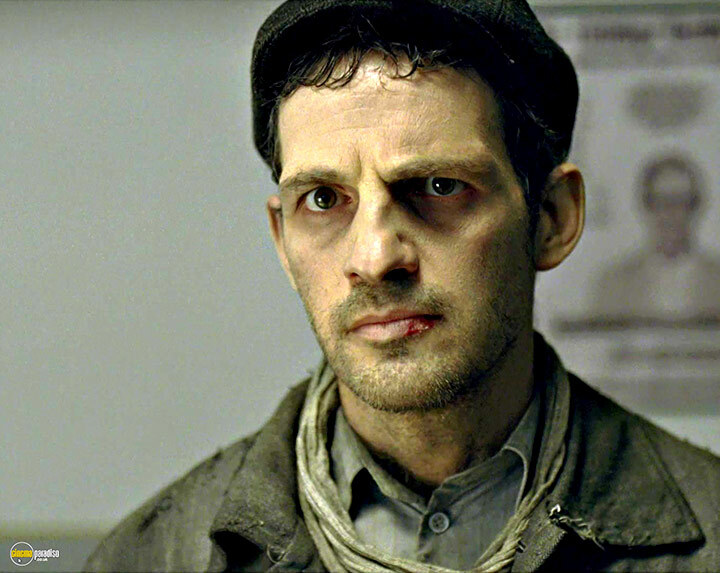 Having said all of this, it was a compelling viewing experience in many ways if you like your cinema to stretch the boundaries and break away from the norm - and after all, this is what cinema at its best has always been good at: offering alternative views of reality, or capturing human experience in new and surprising ways - then you should definitely watch Son of Saul.... and then ideally discuss it at length with a valued friend over a bottle of wine - and delve deep into the elements that inspired you and the ones that dissapointed. It would be surprising if the debate wasn't long and engrossing. Shot almost entirely in closeup of Saul's face with an impressive soundscape building an intense atmosphere of random horror. Creates a convincing impression of how the people caught in that situation must have dealt with what was happening around them. Action is glimpsed out of focus in the background, dialogue is minimal, everything is held inside blanking out the horror around them. Unremitting, it almost became tedious about half way through - there is not really a coherent narrative, how could there be without it being either trivialising or portentous, it just IS. As a piece of film-making it is impressive. As a representation of how humans can deal with inhumanity it is convincing. 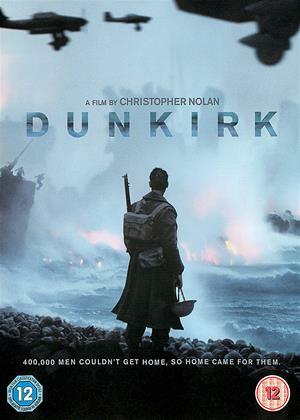 If you can watch it without bringing your personal baggage about WW2 and what happened in Hungary/Germany then it is worth a viewing but don't expect to be entertained.